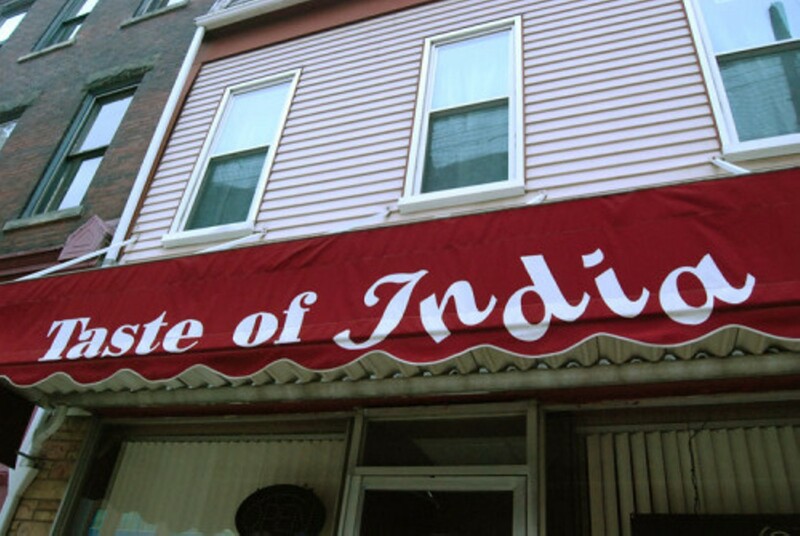 Taste of India on Hampton Avenue, catty-corner to Tilles Park, boasts a large menu of traditional Indian food, beverages and desserts. In addition to an all-you-can-eat lunch buffet, this Indian restaurant in a former Pizza Hut offers several lamb, chicken, seafood and vegetable entrées. Appetizers include vegetable samosas and pakora, as well as papadum, crispy lentil wafers, and marinated and fried ambarsari fish. Patrons can get their tikka masala, meat cooked in a fresh tomato sauce, with either chicken, lamb or fish. Taste of India also features a goat curry and several vegetable entrées, such as masoor dal, lentils with garlic and ginger. Diners can finish off their meal with the sweet treats, including kulfi, a homemade pistachio ice cream, or mango malwa, another ice cream with mango pulp and almonds.